Did you know there are special mathematics holidays. Yes, days where we celebrate mathematics or famous mathematicians contributions. Because mathematics is not everyone’s favorite subject most people do not know there are special days throughout the year for mathematics. Mathematics is a critical part of life and essential in our daily activities. Our lives rely very much on mathematics. And just like every other aspect of our lives that we hold dear, we ought, and can celebrate special days in this fantastic field. There is a wide variety of holidays related to mathematics, all laid out on different days for the celebration of this core science. Different countries celebrate different events, with some holidays coming on regular, specified dates and others use math concepts to determine the next holiday event. Any mathematician is conversant with Pythagoras’ theorem that states that the area of a triangle can be calculated using the formula a² + b² = c². To mark the significance of this revolutionary discovery, Pythagorean Theorem Day is celebrated on days that align with the formula. The next date for this celebration is not until December 16, 2020! Mark it in your calendars now. On this holiday, we celebrate the Fibonacci sequence. The Fibonacci sequence is a series of numbers where the third number is a sum of the first two numbers before it. This sequence of numbers describes a spiral – often seen in nature. 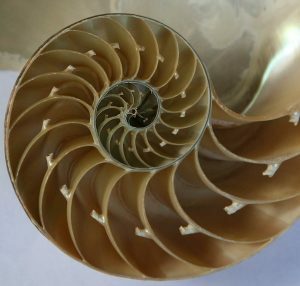 As a milestone in mathematics, Fibonacci’s series remains important till today. Example: a sample Fibonacci sequence beginning with 1 would look like this; 1, 1, 2, 3, 5, 8, 13, 21, and so on. Interestingly, the ratio between each number fluctuates around the ‘golden ratio’ Phi which has its own holiday. Fibonacci Day is on the 23rd of November (11, 23) as represented by the first four numbers on the sequence, beginning with 1. This holiday is a mixture of mathematics and chemistry. It celebrates Avogadro’s constant, which is 6.02 x 1023. This mathematics holiday comes about on the 23rd of October (10.23). This constant that forms the theme for the day represents the primary method of calculating the mass of a substance. Funny puns are a big part of the day, with games bearing the word ‘mole’ remaining popular, such as whack-a-mole. Pi is a ratio between the diameter and circumference of a circle. We use the relationship between the two as an accurate method of calculation, and it forms a critical part of mathematics. The concept being that we multiply the diameter of a circle by pi to get its circumference. We therefore have perhaps the most famous mathematics holiday celebrating this fundamental concept. March 14th is the date set for this event, with 3.14 representing the first three numbers of an almost endless sequence of integers in the Pi sequence. Do not confuse this special maths holiday with Pi Day. Phi day is about the ‘golden ratio’ of approximately 1.618 denoted by the Greek letter phi. Artists love this ratio for paintings (long side to short side). The famous Mona Lisa painting uses the golden ratio in many ways from her face, to the position of her eyes. You will also find it in architecture, and throughout nature from magnetic resonances to sunflowers and nautilus shells. E-Day is celebrated worldwide in countries that write dates in the format where the month comes before the day (m/d format). The holiday gets its name from Euler’s number, which starts with 2.7182818 and generally goes on to infinity. This mathematics holiday is therefore celebrated on the 7th of February each year. But 2018 was extra special as it included the first four digits in the date – something that wont happen for another 100 years. This day, more a competition event for school children aged 4-18, than holiday, is usually on the first Wednesday of March each year. The chief aim of World Maths Day is to nurture the interest in mathematics as a science and to encourage people to be part of mathematics-related fields. On World Maths Day, anyone can find fun games about mathematics, and try to share your passion for the subject and inspire someone. Srinivasa Ramanujan was a famous mathematician of Indian origin. Ramanujan was born on 22nd December late in the 19th century – in 1887. He unfortunately dying at a relatively young age in 1920 after struggling with ill health. Despite what is considered a brief life, he made a significant input into mathematics, starting off as a casual laborer and rising to the status of a national hero. To celebrate his life and contribution to mathematics, the 22nd December was declared National Mathematics Day by Dr. Manmohan Singh in February 2012.